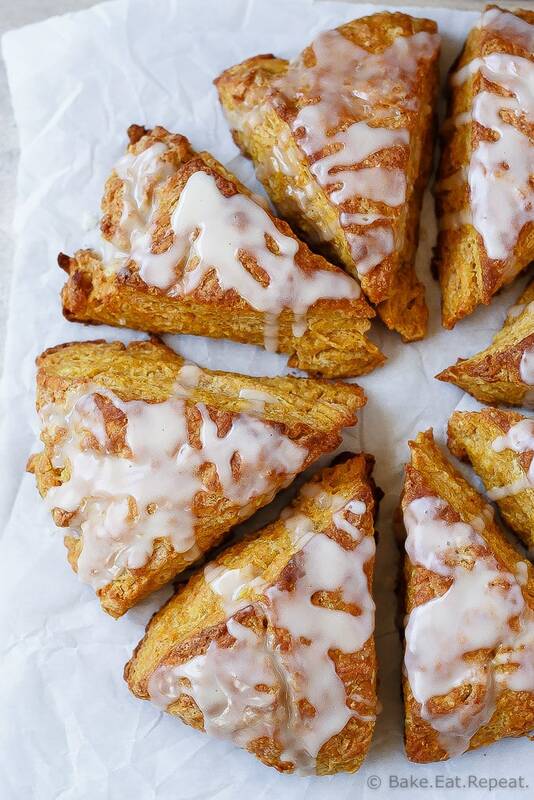 Pumpkin Scones with a Maple Glaze - Bake.Eat.Repeat. 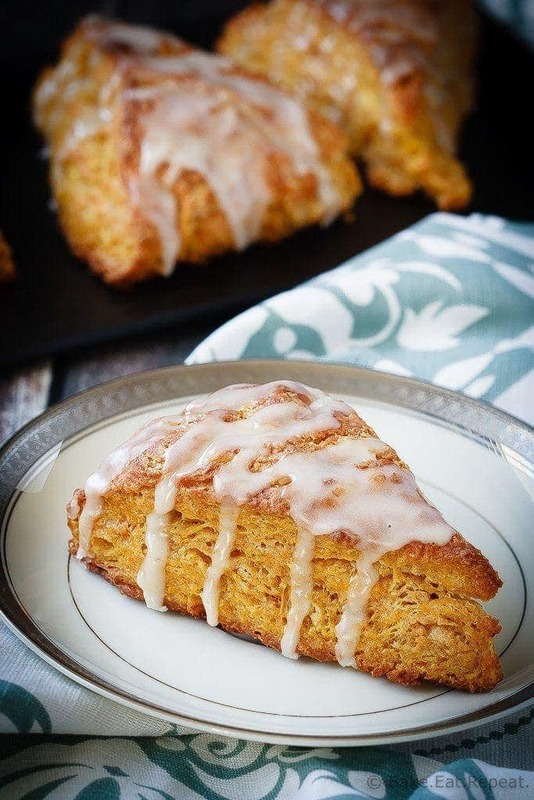 Light and fluffy pumpkin scones topped with a sweet maple glaze. These scones are the perfect breakfast treat to enjoy with your morning coffee! I love all the pumpkin things this time of year. I know I’m not alone on that, judging by the barrage of pumpkin stuff that hits us for a couple months every fall! But even with the 8 million recipes out there involving pumpkin, plain old pumpkin scones are still my favourite. 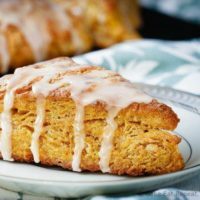 I make these pumpkin scones drizzled with a sweet maple glaze at least once every year. Okay, more then that, because pumpkin gets used all year long in my house. I did say I love it. Scones are one of my favourite treats (I feel like a broken record, I think I type that every single time I post a scone recipe! ), and I think these are the best I’ve made. Although these blueberry scones and these chocolate chip scones are a pretty close second and third. 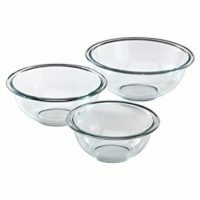 They’re light and fluffy and not dry at all, so you don’t need endless cups of coffee with them in order to get them down. You might want endless cups of coffee, I know I do, but not because of the scone. Just because, well, coffee. You also have a few options when making these pumpkin scones. I’ve made them with all-purpose flour, whole wheat flour, and half of each. All three variations had good results, with the fully whole wheat scones a bit denser in texture. I tend to make them with half whole wheat flour – a bit healthier but still nice and fluffy and not a whole lot different then the fully all-purpose ones. 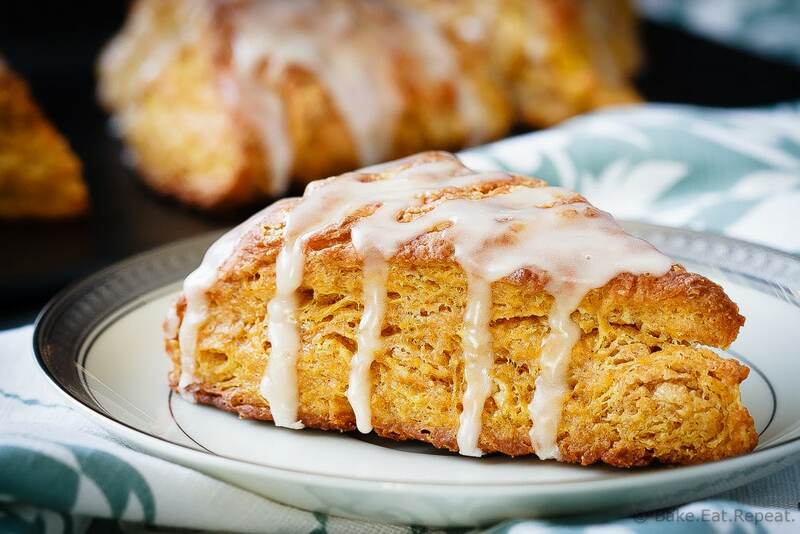 Whichever flour combination you choose to use, this pumpkin scone recipe will not disappoint. They are soft and fluffy, full of pumpkin spice flavour, and topped with a sweet maple glaze. The perfect treat to have with your endless cups of morning coffee! Update: Recipe originally posted Sept 22/14, post and photos updated Oct 26/16. 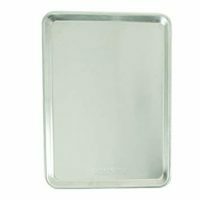 Preheat the oven to 400 degrees F. Line a baking sheet with parchment paper or a silicone baking mat. In a large bowl, whisk together the flour, brown sugar, baking powder, pumpkin pie spice and salt. Toss the frozen, grated butter with the dry ingredients using a pastry cutter or your fingers, until the mixture looks like coarse crumbs. In a small bowl or measuring cup, whisk together the heavy cream, pumpkin puree and vanilla until well combined. Pour the mixture into the dry ingredients and stir until it starts to come together. Dump the dough onto the prepared baking pan and use your hands to form it into an 8 inch disc. Use a very sharp knife to cut it into 8 wedges. You can spread them out a little if you like (I like to as I prefer the slightly crisp edges this produces) but you don’t need to. Bake for 20-25 minutes or until slightly golden and a toothpick inserted in the center comes out clean. While the scones are baking, prepare the glaze. Whisk together the powdered sugar, maple syrup and milk until smooth and well combined. Cover tightly with plastic wrap until ready to use. When scones are done baking, remove from the oven and allow to cool on the baking sheet for 5 minutes before drizzling the glaze over top of them. The glaze will set as it cools. These are best the same day, but keep well for up to 3 days at room temperature. 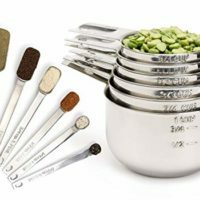 They also freeze well in an airtight container for up to 3 months. I made these with all all-purpose flour, half whole wheat flour, and all whole wheat flour. All three kinds were very good, but the completely whole wheat ones were a little more dense. Use whichever combinations of flours you prefer. The butter can be either cut into the dry ingredients with a pastry blender, or what I like to do, is grate it with a food processor or grater and then toss it with the dry ingredients. I find this the fastest way to get it in small chunks but keep it very cold. You can also add 1/2 cup of mini chocolate chips if you like, I found they were good both with and without the chocolate. The amount of glaze listed makes enough for a very light glaze on each scone, if you prefer more glaze then double the recipe for it. Im looking for all pumpkin recipes to get rid of my Halloween pumpkins!! Great idea with the scones, this seems delicious!